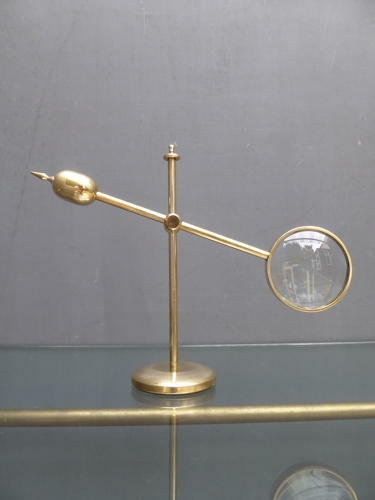 A wonderful brass counterbalance jewellers magnifying lens. Wear commensurate with age, displays beautifully. The glass lens is clear & functional though has some damage to the outer edge & a non original inner fastening wire, all pictured & do not detract.